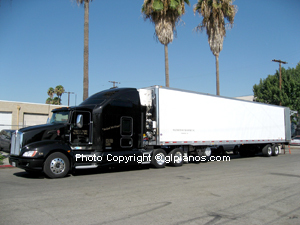 At The Piano Warehouse we provide our clientele with professional piano delivery services. 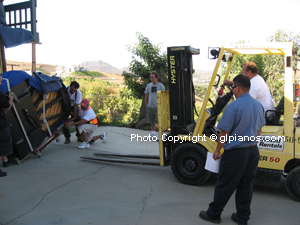 We can move any size piano - anywhere! 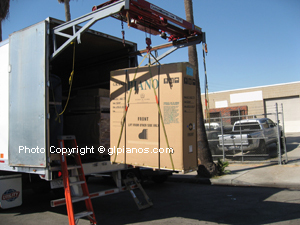 The local and long distance piano moving companies we use are reputable and independently owned. 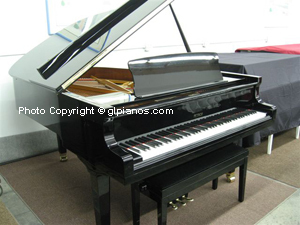 If you purchase a piano from us you can count on reliable and courteous service! 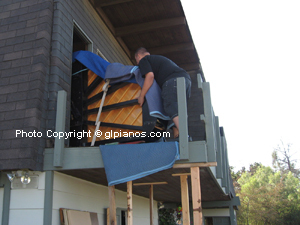 The photos below demonstrate the techniques and equipment our movers use to make sure you receive your piano safely - no matter how far or challenging your location is! I sold 2 pianos to Brian Burton (aka Danger Mouse), of the band Gnarls Barkley. Above is the Yamaha U3 upright in my warehouse (before delivery), and in the process of being moved to Brian Burton’s recording studio on the second floor. 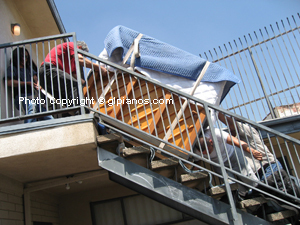 The piano had to be pulled & pushed up the stairs by 4 men and then tipped over on its side to maneuver around the narrow corner. 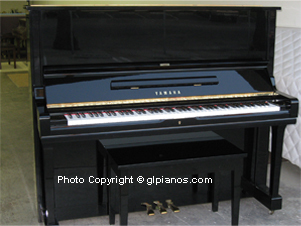 The other piano was a Yamaha U1 upright that we delivered to Brian’s home. 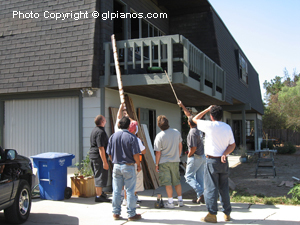 Above is the 6’ 4” Petrof 111 grand piano in my warehouse (before delivery), and the movers figuring out how they can hoist it up to the second floor (the piano was too big for the staircase inside the house). 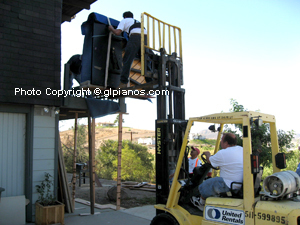 Here the piano movers operated a forklift to move this grand piano safely onto the balcony. They were then able to move it inside to my client’s home recording studio. film composer Richard Bowers sent me an email; “Garron, I'm loving the piano... can't tell you how happy I am... Thank you! Best,” Richard Bowers.